We all love freebies! Who doesn’t?! And I bet you, you are among those who have been searching the internet daily for awesome freebies and samples to try out. I do too. Now, through your internet searches, you came upon BlissXO. So what is BlissXO? How do I get freebies from them? Will they send me my samples? I know these are some of the questions that have been running in your head. So why don’t we find out what BlissXO is all about? 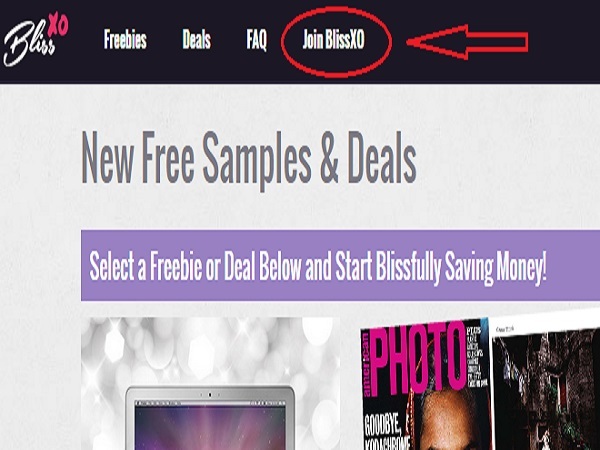 BlissXO is a freebie aggregator site. We search and collect info on the best samples, freebies, deals, and giveaways offered by third parties we find in the web. Think of us as a freebie directory. Your one-stop-shop for freebies and giveaways. Now, UNlike other freebie websites, we pride ourselves in finding and posting freebies that are blissfully easy to redeem. And we ONLY post freebies and deals that we personally believe are of high value for our members. No junk offers, scammy links, or fake freebies here! Our BlissXO Sample Angels make sure of that! So what kinds of freebies can I get from BlissXO? A lot! 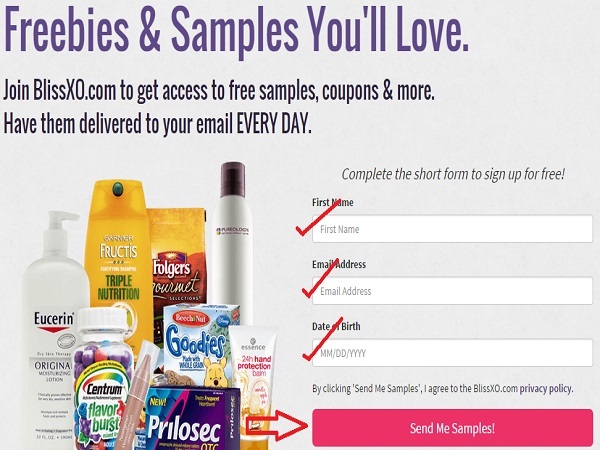 This is where you will find the web’s best samples and freebies! 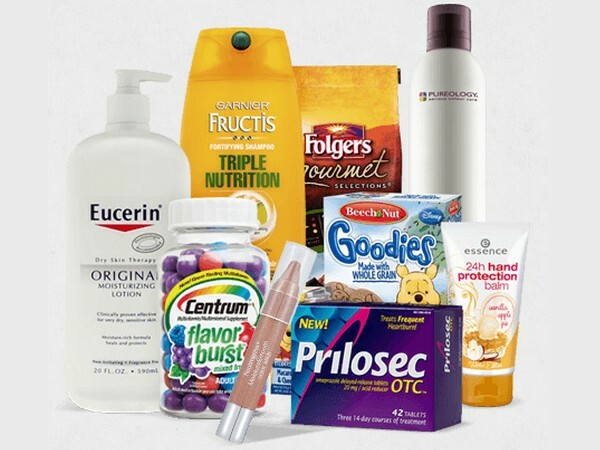 We have freebies and giveaways for babies and kids, bags, shoes and accessories, books & magazines, clothing, cash & giftcard, cosmetics and body care, food and drinks, gadgets, tools and electronics, health and fitness, pets, household & home improvement, job & education and a whole lot more. And if you want something you currently can’t find on our website, just let us know by sending us an email. Wow! So how do I get started? What we suggest is for you to Sign Up first to our mailing list for you to get Christy’s daily alerts. Christy, BlissXO’s Head Sample Angel provides a list of her personal favorites from among the samples and sends them to our subscribers. I would love daily alerts! How do I sign up? It’s simple and easy! Click on “Join BlissXO” link which is found on the top of the BlissXO welcome page. Enter your information – First Name, eMail Address, Date of Birth. No, we do not require your shipping address. Since BlissXO does not send out samples ourselves, we reserve that information to the sample manufacturer where you will be getting your freebies from. Now wait for your welcome email from Christy and you’re all set up! Are you ready to claim your first freebie? Have fun!